Дата съёмки 2 декабря 2018 г. 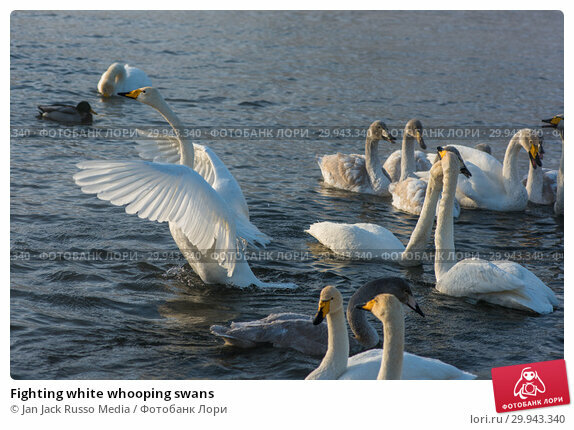 Fighting white whooping swans swimming in the nonfreezing winter lake. The place of wintering of swans, Altay, Siberia, Russia.